Neighborhood and Adidas have a long working history as part of the Consortium project where Adidas collaborates with streetwear brands and stores from around the world on limited edition sneakers. Recently the Neighborhood and Adidas collaborations have shifted from consortium to Adidas' Originals by Originals (ObyO for short) line. 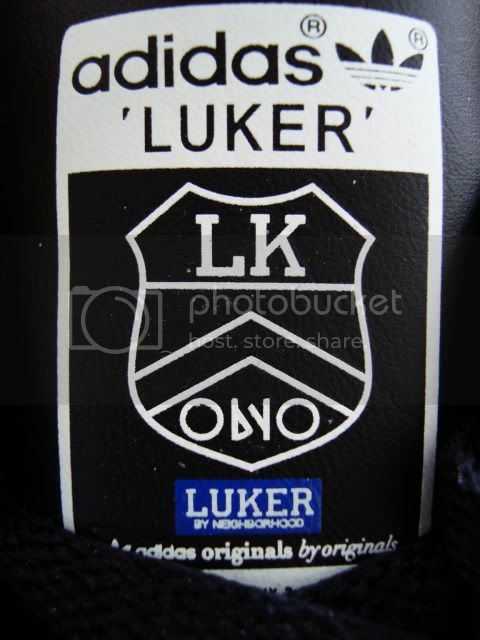 This past season ObyO worked with Neighborhood's sub-brand Luker to create a line of clothing and shoes. 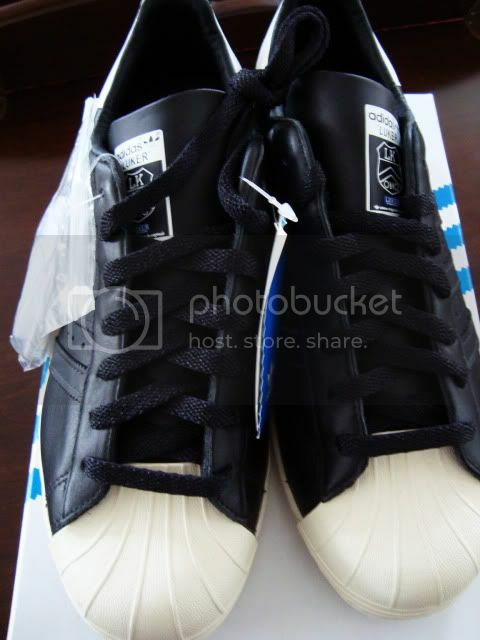 solifestyle has a the most recognized shoe from the collection- the Superstar 80s. Sold at select sneaker boutiques around the world, the ObyO line produces exclusive lines of clothing and shoes in conjunction with international designers. The price point tops normal adidas originals wear but does not encroach on the Y-3 line- Adidas' most expensive lifestyle brand. 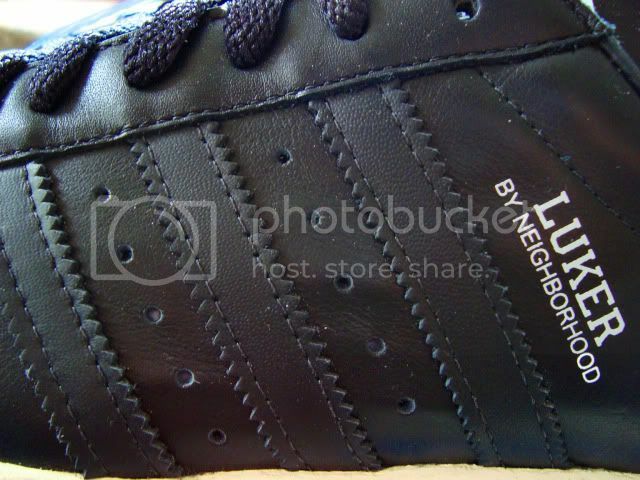 The Luker by Neighborhood collection for Adidas included a wide array of clothing ranging from a leather double riders jacket to Luker Adidas cobranded tshirts and a few pairs of shoes. The Superstar 80s was the most recognizable model used for the footwear and the quality turned out very nicely. Made of soft, high quality leather the shoe features the Luker Adidas co-branding on the heel and tongue and the Luker branding next to the Adidas stripes on the side panel. The low key colors and branding make the shoe a breeze to wear with just about anything and of course its much cheaper than buying a pair of Neighborhood shoes. Your best bet to find a pair at this time is probably on Ebay. Expect to pay about $160 for brand new condition.